By Graham Vanbergen: After the world witnessed the traditional unity of the G7 turn into what looked like the remnants of a ring-fight, leaving six injured pugilists, the contender with most of the punching power has another political uppercut in store for us all – this time for the worldly warriors of the 29 member states of NATO. Senior officials at NATO headquarters must surely be wondering at what Trump will do to rattle the defence alliances’ cage this time. The trade wars being commenced by America is already well underway but just wait when Trump gets his teeth into one of his great pet hates – military contributions to NATO by the Europeans. It may seem reasonable for the US to be annoyed, angry even, that Europe does not contribute as much as they should for their own defence but after this meeting – if it goes the same way as the G7 meeting did – some allies will definitely feel as though they are not just economic threats, but physical rivals to the world order as Trump sees it. And they don’t like that one bit. The NATO alliance seems solid from the outside but it is currently under a serious existential threat – and in truth, it is one we should all be worried about. Taking the G7 as an example, Trump withdrew from the stated aims of that alliance, an unprecedented move and then publicly attacked his Canadian host. trump then accused all members of the biggest economies of robbing American workers. One can only speculate what is coming next. As for China, decades of economic trade and relations building is being wrecked and now looks more like a nasty divorce case with no settlement in sight. China has responded like for like with $50 billion of tariffs on American goods. Late Monday night America ramped up the tariffs on Chinese goods entering the USA from $200billion with a further threat to raise that to $450 billion. Trump is playing a very high stakes game – he wants China to heel or pay the price. In the meantime, financial markets are reacting as if a full-blown trade war is already underway and MarketWatch is speculating that a major trade war could ripple through global economies quite soon if negotiations don’t calm the markets. If the NATO meeting turns into a bickering chest-thumping contest of self-serving egocentrics, those in China, Russia and beyond will be looking to exploit the opportunity and entrench their version of the new world order with the vacuum the West created. There is a dangerous potential for what remains of our fragile world peace to wither away. In January last year, a statement by Donald Trump shocked NATO members by branding it “obsolete” which caused serious “worry” in the alliance. Germany’s Angela Merkel responded by saying the EU had to take responsibility for itself. “We Europeans have our fate in our own hands,” she said in Berlin. Clearly, the gloves are off as the building of an EU army, headquarters and research centre is well underway. The reality is that the Western alliance that created an environment of stability and prosperity for seven decades is now at threat from itself. 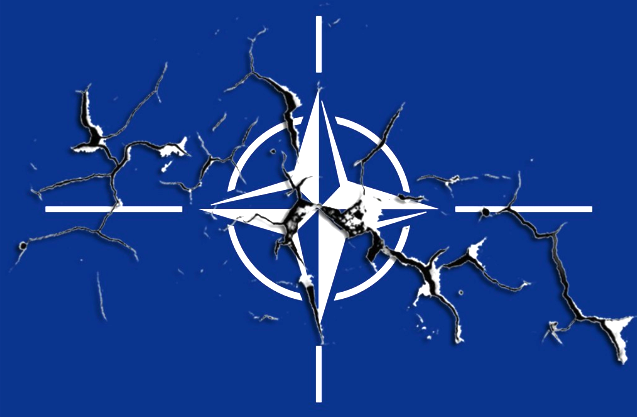 NATO members will be reminded of Trump withdrawing from the Paris climate agreement, the TTIP trade agreement, the Iran nuclear agreement, inflating the Israel-Palestinian conflict whilst creating a world in his own image – winning at all costs. It’s Trump’s way or no way. Like the G7, the NATO alliance is stacked full of leaders who have all agreed in the past and like the G7 everyone did as America told them to do and then stood united as one voice, ensuring others shelved their evil thoughts for another time. That arrangement has now been cancelled. In a desperate attempt to avoid another ring-fight, NATO officials appear to have cleared the decks to elevate Trump to the head of the totem pole and make announcements that he personally can call his own. Almost all NATO allies have promised over the last twelve months to increase military spending along with modernising equipment with the aforementioned EU budget being earmarked for military development. More heavy armour is being placed along the borders of Russia and more money is pledged to fight Islamic State. The problem is that the most powerful of these allied leaders at the NATO meeting were at the G7 recently and their wounds are still fresh, especially with Merkel. Both detest each other. The three biggest economies in Europe have responded to Trump’s invite to a trade war with a degree of diplomatic decorum – so far, it’s been polite. But Macron’s pleas in the Whitehouse were discarded, May’s US trade deal is in jeopardy at totally the wrong moment in the Brexit negotiations and Merkel is furious that Trump would class Germany’s car-making manufacturing as a national security threat to the USA. Irrespective of the official line we are given, literally anything could happen at this meeting. If it goes the same way as the G7, the world is in much bigger trouble than we might imagine. Instead of consensus and collaboration to drive peace and prosperity amongst 29 nation states, we might have discord through a cacophony of infighting steered by the biggest bully in the room.